Congratulations, Class of 2014 ! Now comes the hard part! Before you leave, let’s review a list of some things you might actually miss from Villanova. Say goodbye to that $60 in print quota, and hello to notion of buying a home printer. Picking out your own schedule and avoiding sunlight as if you were a vampire. 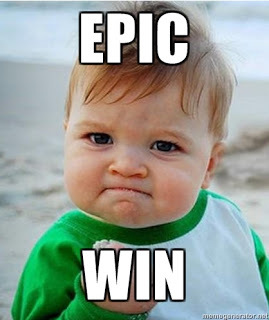 That feeling when the ACS professor lets you use a 3×5 index card for your final. Doesn’t really work like that in the real world. Deciding between bell-bottoms and Uggs or gym shorts with stilettos was a tough choice. Now comes the realization that 95% of your wardrobe is not business appropriate. Using the gym on campus was convenient and modern. Now you have to resort to more dangerous tactics. All of those friendships you have built up over the college years are basically cut in half, with friends moving home or to another city for a job. Say goodbye to those 3 month vacations, unless you are becoming a teacher, of course. If you have the money for a vacation, it will probably be just 2 weeks. But one thing you do not have to miss out on…access to an award-winning library. Falvey grants courtesy memberships to alumni, making it possible for you to access our entire collection and online databases (while on site). No need to break the computer to find out more information. Just come to the front desk and we’ll be happy to help! And remember to follow us on Facebook, Twitter, Instagram, and Youtube to keep up with events and information from your Alma Mater. Article by Raamaan McBride, writer on the Communication and Publications team, and specialist on the Access Services Team.